• Tookatee added a comment to T3050: NLAW has insufficient range. There wasn't any non-ticket related discussion here until you took issue to something I said and decided to comment on it here. If you don't want any further frivolous discussion then don't initiate it; that being said lets just end this "conversation" here. Being banned from your one public forum means I only have one way to communicate with the devs...and that's here. The priority system doesn't help me or any of the non-devs in the slightest, it's supposed to be a system to help YOU or any other future dev know the priority of each ticket. Being belligerent to a person who simply posts bug reports is unproductive and only serves to make you and the entire CUP team that you represent look unprofessional. • Tookatee added a comment to T3116: MAAWS cannot be zeroed. I find it odd that one person's comment was enough to simply invalidate an entire ticket without confirming that what they said is actually true. Yeah repeated testing has confirmed on my end that the MAAWS launcher has a fixed zeroing of 100, this ticket isn't invalid. Yeah there is a reason the priority system for this tracker exists, everyone seems to believe that all tickets seem to represent some sort of imminent and immediate demand for them to be resolved. And it doesn't help that a lot of the tickets simply aren't prioritized and are simply left on "Needs Review". And even if they were to make the decision to make their NLAW a literal first generation 2008-2009 NLAW the range would still be off as those had a maximum guidance range of 600m. And your comment on the PCML is pointless because the NLAW is superior in every way to it, even without its proper ranging. Both have a 500m range, but the NLAW does more damage and has the correct lock time (unlike the PCML's unrealistically slow lock time, especially for a purported 2035 weapons system). They said themselves that they didn't want their content to be a "simple port" and they made that choice when they gave the NLAW guidance to begin with. In Arma 2 it was a direct fire weapon only. http://www.military-today.com/missiles/nlaw.htm and https://saab.com/land/weapon-systems/support-weapons/nlaw/ The system received software updates to extend its guidance range to 800m and above, with an absolute propellant limit of 1000m. So yes it can. @Spazz1219 Are you sure you're testing with the MAAWS launcher and not the SMAW? Because testing with it now and before (with and without scopes) I created the ticket forbids me from changing the zeroing from 100. • Tookatee created T3116: MAAWS cannot be zeroed. • Tookatee created T3115: MAAWS missing ammo. • Tookatee added a comment to T3114: MCV80 Magazine capacity. Opened this because T3103 was merged T3109, but that ticket did not address the magazine issue like T3103 did. • Tookatee created T3114: MCV80 Magazine capacity. • Tookatee created T3113: SMAW missing ammo. • Tookatee updated the task description for T3112: SMAW Zeroing issues. • Tookatee created T3112: SMAW Zeroing issues. • Tookatee created T3111: SMAW's scopes incomplete. 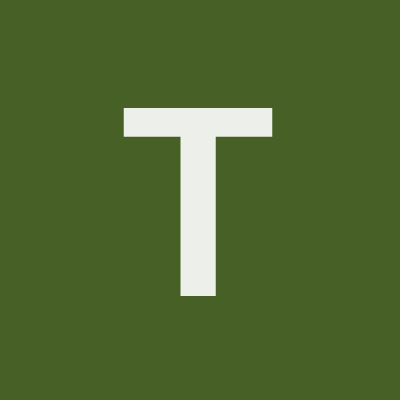 • Tookatee added a comment to T3109: [DEV] Autocannon firing modes. Part of this ticket is a duplicate of T3103, which already addresses the RARDEN's high rate of fire and very high magazine capacity. • Tookatee renamed T3105: Incorrect caliber ammo for the MCV80 30mm RARDEN cannon from Incorrect caliber ammo for the MCV80 RARDEN cannon to Incorrect caliber ammo for the MCV80 30mm RARDEN cannon. • Tookatee updated the task description for T3105: Incorrect caliber ammo for the MCV80 30mm RARDEN cannon. • Tookatee created T3105: Incorrect caliber ammo for the MCV80 30mm RARDEN cannon. • Tookatee created T3104: MCV80 shell ejection bug. • Tookatee renamed T3103: MCV80 cannon firerate/magazine capacity from FV510 cannon firerate/magazine capacity to MCV80 cannon firerate/magazine capacity. • Tookatee created T3103: MCV80 cannon firerate/magazine capacity. • Tookatee updated the task description for T3014: 6G30 incomplete ammunition. • Tookatee added a comment to T3096: A-10 does not have a camera. If that's the case then why do some aircraft like the SU-25T (which ironically does have a built in camera and laser designator irl) not have a camera? • Tookatee created T3099: A-10 Jamming pod does nothing. • Tookatee updated the task description for T3096: A-10 does not have a camera. • Tookatee renamed T3098: All T-72 variants have a nonexistent interior from T-72M4CZ nonexistent interior to All T-72 variants have a nonexistent interior. • Tookatee created T3098: All T-72 variants have a nonexistent interior. • Tookatee created T3097: GBU-12 texture bug. • Tookatee created T3096: A-10 does not have a camera. • Tookatee created T3095: A-10 camera position. • Tookatee updated the task description for T3092: The T-34 has the same HEAT round as the T-55. • Tookatee updated the task description for T3091: T-34 low damage. • Tookatee created T3092: The T-34 has the same HEAT round as the T-55. • Tookatee created T3091: T-34 low damage. • Tookatee created T3089: CZ-Skorpion EVO 3 trigger texture bug. • Tookatee created T3088: T-72M4CZ Reactive armor visual bug. • Tookatee added a comment to T3087: Tanks DLC Upgrades T-72M4CZ. Well in the stable version it's merely cosmetic. I have yet to check the dev version. • Tookatee created T3087: Tanks DLC Upgrades T-72M4CZ. • Tookatee added a comment to T3080: Gunpod fire density. Yeah I've posted a bug report on it to the ArmA 3 bug tracker, so one of you guys can go ahead and close this ticket since it ain't just CUP related. • Tookatee created T3080: Gunpod fire density. • Tookatee created T3059: Ship statics not updated to the Jets DLC standard. • Tookatee created T3058: Drones not updated to the Jets DLC standard. • Tookatee updated the task description for T3050: NLAW has insufficient range. • Tookatee created T3050: NLAW has insufficient range. • Tookatee added a comment to T3049: Ghillie suits don't provide thermal protection. I thought those were from Arma 2, which took place from 2009-2012. But more importantly Arma 3 treats the camo on Ghillie suits as thermal protection (you can see that the uniform under the actual camo in the half ghillies is still visible in thermals) so I don't see a reason why CUPs ghillie suits wouldn't conform to this standard, as that is the stated point of the CUP mod. • Tookatee created T3049: Ghillie suits don't provide thermal protection. • Tookatee updated the task description for T3048: CZ 75 Duty does less damage than other variants. • Tookatee created T3048: CZ 75 Duty does less damage than other variants. • Tookatee added a comment to T3045: No 60 round magazine for AK-74 subsonic ammo. All that "design concept" does is omit an actual function of the rifle. Not to mention that carrying two 30 round mags of subsonic ammo weighs the same as carrying one 60 round mag. • Tookatee added a comment to T3042: Taurus Tracker 455 is strictly a 5 round gun. Yes that's exactly why it should be renamed to "Revolver" as BIS did for Arma 2. Cause the gun itself is not a Taurus Tracker 455 and it's a low effort solution in lieu of creating an actual Taurus 455. • Tookatee created T3045: No 60 round magazine for AK-74 subsonic ammo. • Tookatee added a comment to T3040: 10 round and 20 round Sa-61 magazines are the same. Is the model different as well? This was probably why in ArmA 2 it was just called the "Revolver" rather than a specific weapon name, as it doesn't actually exist in real life. • Tookatee renamed T3042: Taurus Tracker 455 is strictly a 5 round gun from Ammunition interchangeability between the Zubr and Taurus variants to Taurus Tracker 455 is strictly a 5 round gun. Actually your comment exposes a completely different issue, upon further research the Taurus 455 is a 5 shot revolver (https://www.genitron.com/Handgun/Taurus/Revolver/455-Tracker/45-Auto/Variant-2), yet the model in-game is a 6 shot revolver. I'll be changing this ticket to reflect that issue, as it completely nullifies the bug I previously had for it. • Tookatee created T3044: Mi-6A VIV loading in vehicles that don't fit. • Tookatee created T3043: AK-74 subsonic ammo sound. • Tookatee created T3042: Taurus Tracker 455 is strictly a 5 round gun. • Tookatee created T3041: Taurus tracker impact value. • Tookatee created T3040: 10 round and 20 round Sa-61 magazines are the same. • Tookatee created T3036: All variants of the CZ 75 weigh the same. • Tookatee created T3035: LAV-C2 Commander's seat obscured view. • Tookatee added a comment to T3034: LAV-25 commander's gun. • Tookatee created T3034: LAV-25 commander's gun. • Tookatee renamed T3032: Incorrect pylon armaments for the AH-6M and AH-6J from Incorrect pylon armaments for the AH-6M to Incorrect pylon armaments for the AH-6M and AH-6J. • Tookatee created T3032: Incorrect pylon armaments for the AH-6M and AH-6J. • Tookatee created T3031: Addition of .50 HEI to the GAU-19 and GAU-21. • Tookatee added a comment to T3020: MK13 rail bug. Yes...why is that a reason for not allowing lasers/flashlight attachments on the side of the weapon? You can just turn off the laser when firing at those ranges. • Tookatee added a comment to T3025: Coaxial MG in MBTs doesn't auto zero. Oh, may I ask why so? It's a convenient system in place in vanilla vics, and it certainly makes sense to have for the modern MBTs such as the Challenger, T-90, Leopard, and Abrams. • Tookatee renamed T3025: Coaxial MG in MBTs doesn't auto zero from Coaxial MG3 in the Leopard 2 doesn't auto zero to Coaxial MG in MBTs doesn't auto zero. I'll adjust the ticket now, I've always used AI for my gunner so I never realized they didn't have this feature until some testing I did recently. it was added in an update awhile ago and none of the CUP MBTs seem to have been updated to include it for their coax. No I meant vanilla, I realize that you guys seem to have chosen not to implement that vanilla feature into any of the tanks. All vanilla vehicles that have a laser rangefinder do. • Tookatee created T3025: Coaxial MG in MBTs doesn't auto zero. • Tookatee created T3020: MK13 rail bug. • Tookatee created T3015: UI bug for the M203 HK416 14.5. • Tookatee created T3014: 6G30 incomplete ammunition. • Tookatee created T3013: M32 rail bug. • Tookatee created T3012: Accuracy issue on Coaxial gun of the Challenger 2. • Tookatee updated the task description for T3008: Infantry Metis missile flight issue. • Tookatee added a comment to T3009: M1A2 TUSK Abrams/Challenger 2/T-90 absurd survivability. "Whining and ranting" Have you actually ever tried out anything that's I've mentioned here? Actually bothered to play with your mod for a bit to see that all these flaws are there? • Tookatee created T3009: M1A2 TUSK Abrams/Challenger 2/T-90 absurd survivability. • Tookatee added a comment to T3006: T-90 AT5 missiles spiral wildly. Idk what missiles you're using, but my testing now and use of it on several servers running the latest version of CUP show that using the entire magazine of missiles in the T-90 isn't enough to kill a normal Abrams from the front. And if you're talking about the Metis, that takes two shots to kill an Abrams from the front. • Tookatee updated the task description for T3005: Inconsistent smoke effect from vehicles' commander's gun (M240). • Tookatee created T3008: Infantry Metis missile flight issue. Except for maybe the damage being a bit low for what it is, but that's already in a separate ticket. Just thinking that maybe the same thing could be happening here with a specific tank, cause I don't have any issues using the AT-10 in the T-90. Idk if it's the case anymore or in the dev build, but I specifically remember in the past that when you targeted the turret of the T-55 with the metis, it would go wild and miss when it was about to hit. What tank were you shooting at? Because I know there are certain tanks whose armor seems to affect these SALCOS missile's targeting (like the T-55 with the Metis). • Tookatee added a comment to T3005: Inconsistent smoke effect from vehicles' commander's gun (M240). And that ticket you linked appears to have only had the fix for the ejection of the cases committed, with no work being done on it since November of last year. So I doubt this issue has been fixed. Which severely reduces the usefulness of the weapon.